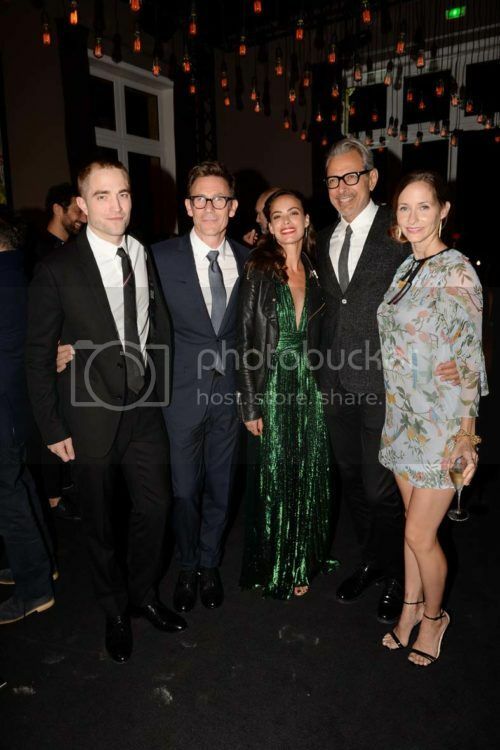 Robert Pattinson, Michel Hazanavicius, Bérénice Bejo, Jeff Goldblum & his wife Emilie Livingston. 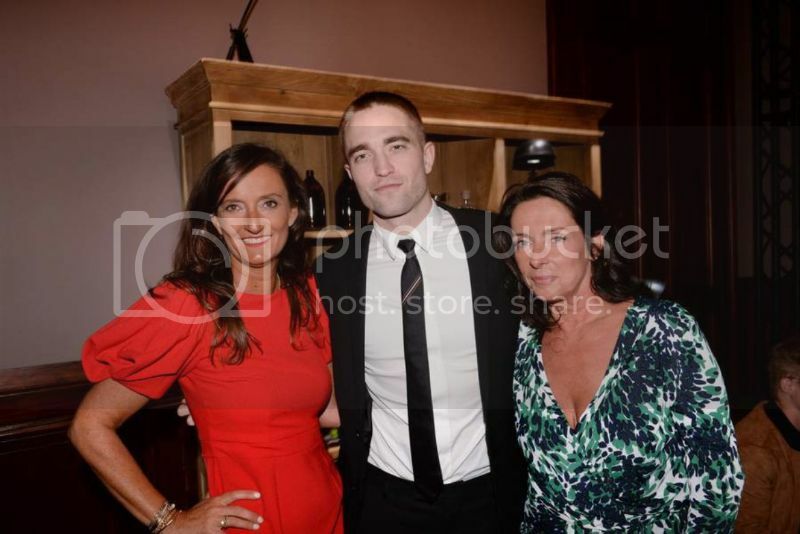 Robert Pattinson created a riot yesterday in Deauville. In the early afternoon, the British actor inaugurated a beach cabin (No. 69) with his name on the boards. After a few selfies and interviews, the 31-year-old came to present his latest film "Good Time" and was honored by the American Film Festival for his already promising career. It was a busy day when the actor finished with his loved ones by winding down at the Kiehl's Club, the must-see place in Deauville for the next eight days. "It's an incredible the welcome I have here, I think I'm going to move to Deauville." After a few hours spent in Normandy, Robert Pattinson is obviously under the spell. 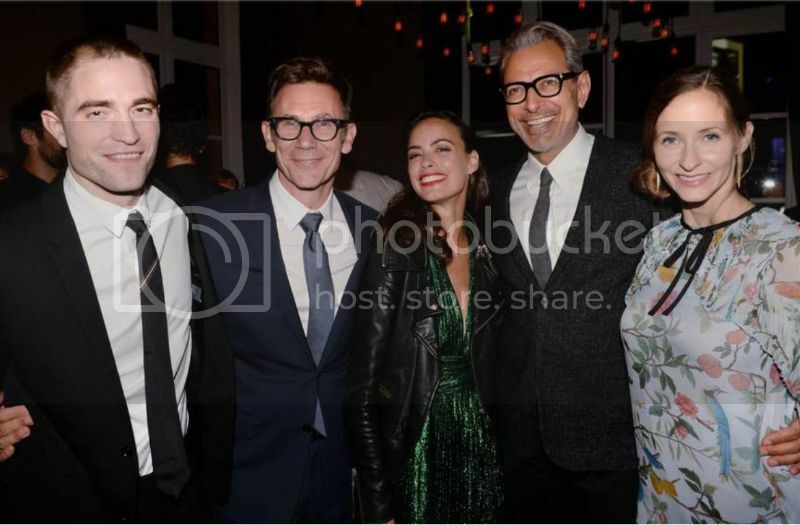 When he was awarded an honorary prize for his already very promising career, the 31-year-old British actor was on cloud 9 last night at the CID (Deauville International Center). After the tribute by actress Bérénice Béjo, "Rob" presented his latest film Good Time (directed by Ben and Joshua Safdie) where he appears unrecognizable in this gasping thriller. After the screening, the Dior Homme muse went to Kiehl's Club with his sister Victoria and her friends to relax. Around Tamim El Mili (Managing Director L'Oréal Luxe France), Marc Nicolosi (Retail Director Kiehl's France), Nathalie Debras (Director of Communication L'Oréal Luxe France) and Anne-Gaëlle Kerdranvat (Managing Director Kiehl's France) beau-gosse has found the top of this 43rd edition of the American Film Festival. Jeff Goldblum (honored tonight in Deauville), Michel Hazanavicius (jury president), jurors Benjamin Biolay, Astrid Berges Frisbey, Clotilde Hesme, Eric Lartigau, Emmanuel Bercot and his jury Revelations Kiehl's, Laurent Gerra, Ana Girardot, Laury Thilleman and her companion Juan Arbelaez, Emma De Caunes and her husband Jamie Hewlett, Audrey Pulvar, Irène Jacob, Radio FranceMathieu Gallet CEO and Deauville Mayor Philippe Augier. At the turntables, the DJ Léo Lanvin and the dj Nubia hosted the dancefloor until around 4am. 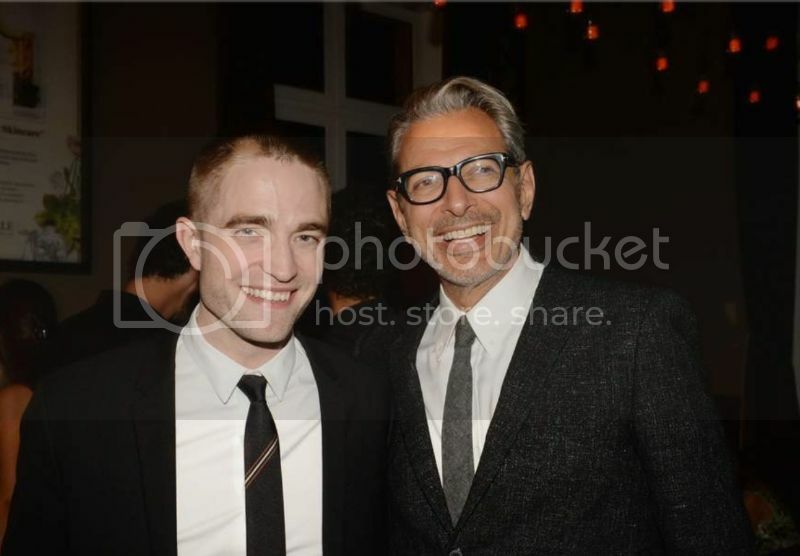 Reasonable, Robert quietly eclipsed him shortly after midnight.